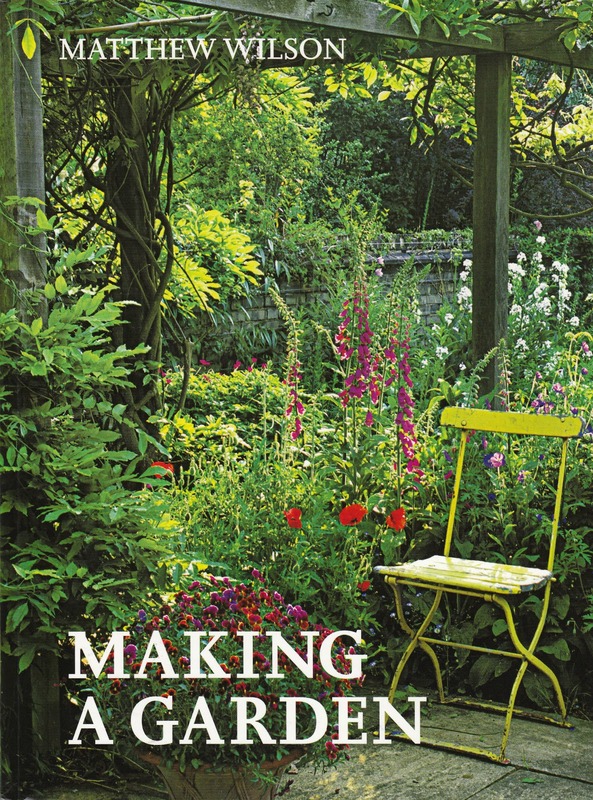 Matthew Wilson’s Making A Garden follows his Channel 4 TV series Landscape Man, which aimed to do for gardens what Grand Designs did for building houses, with Wilson himself as the Kevin McCloud of the herbaceous border. Wilson’s writing is always considered and mainly enjoyable to read. I loved his description of Aloe vera and Agave americana: “thick fleshy leaves that feel more like polished wood, plastic or old burnished leather to the touch than living plant material”. There are occasional odd turns of phrase: I think I know what he means by “potential buyers would be abhorred by the garish colours”, but I’m not sure that’s what he says. It also takes a very sensual approach to garden design: Wilson considers not just the visual aspect of a garden, but its fragrance, varying the textures of plants and hard landscaping features, the effects of light and also sounds: running water, the tinkle of wind chimes or bird song. The author also pays particular attention to the type of urban garden that I and many of his readers will have: a narrow rectangle with little in the way of borrowed views or focal points. His notes on exploring different shapes within the garden and ways to make the space seem bigger are designed to avoid what he calls the washing machine effect, where plants are pressed up around the edges of the garden, leaving a blank space in the middle. Wilson’s own thoughts on planning a garden are interspersed with commentary on the couples featured in Landscape Man. It makes for quite a juxtaposition at times, since the Landscape Man couples are all attempting something on a very grand scale indeed. Less forgivably, there are two dozen pages of sketched-out garden plans at the back of the book. In vain did I try to find out some context here – where the gardens were, what was the budget, and crucially some photos of the finished article to see how the plans were realised. Frustratingly,there simply aren’t any.